23andme has slightly redeemed itself with this new feature! I am not sure if it is available for everyone yet. It gives a breakdown of all of your matches and their ancestry. It will tell you how many have at least 1% of that ancestry. Now obviously not as useful as Countries of Ancestry, but at least it is something. You can click on Connect with Your DNA Relatives. It takes you to your list. 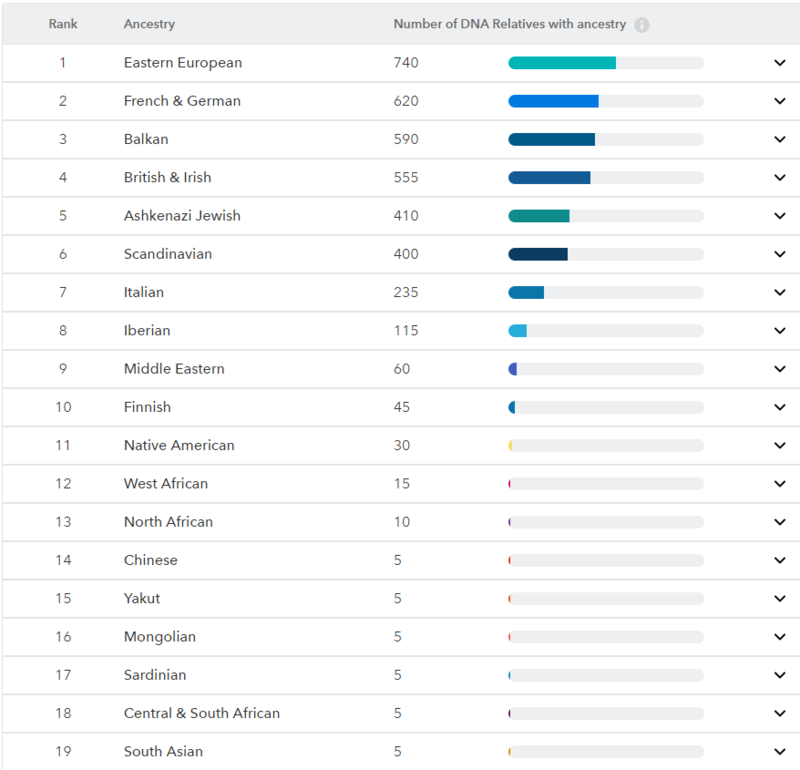 If sharing with a match when you click on them it compares where you match on the chromosomes, and when you scroll down you can see what your match's ancestry report is compared to your report. You would still have to ask them where a certain ancestry is painted for them on a segment though. Sample sizes were the first things that came to mind when I saw this. Taltos, do you have your ethnicity breakdown available? The more I learn about this DNA stuff the less I know. 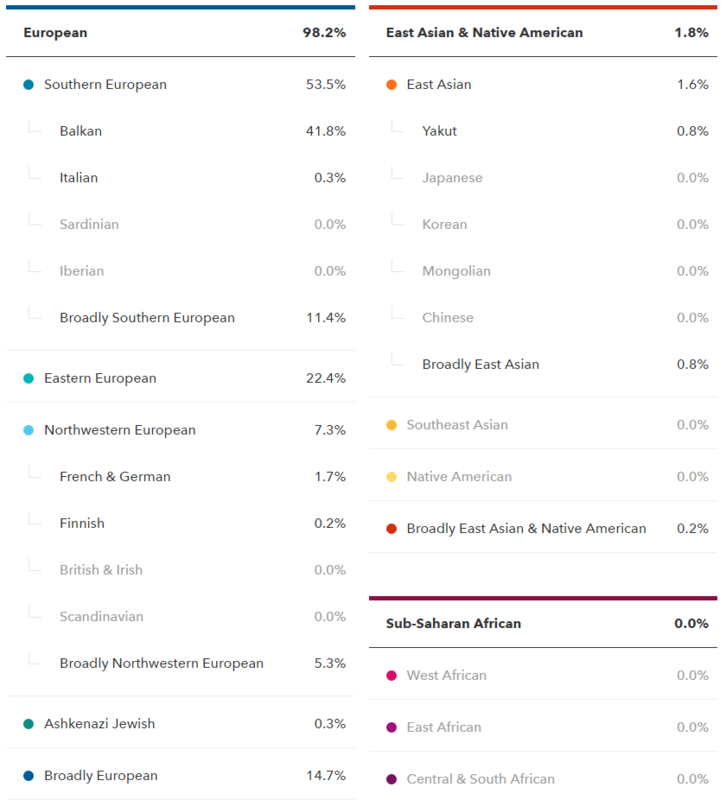 It says we share Ashkenazi ancestry. If so it's a very small amount on my part as Ancestry composition gives me <0.1%. Certainly I share Ashenazi with few matches. Ashkenazi also shows on the time line. Yeah I wouldn't think that British & Irish should be my top one. Right, it's all about the numbers who have tested. I also thought it was interesting that we're almost identical in Eastern European ethnicity percentage, but it's probably your Polish ancestry that gives you a lot more Eastern European matches than what I have.